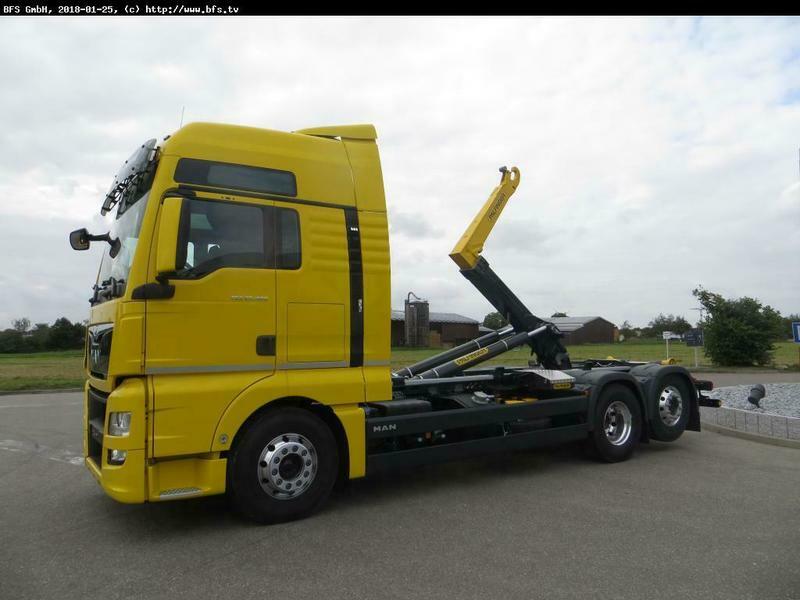 All the offers in the stock of MAN TGX 26.480 hook lift truck are up-to-date as well as in good shape. This piece of special equipment was produced in 2017. Engine/driveline: diesel, 480 hp, gearbox: automatic. Wheel formula and suspension type: number of axles: 3, ABS, ESP - electronic stability control, trailer coupling. Cab comforts include air conditioner, parking heater, cruise control, navigation system.